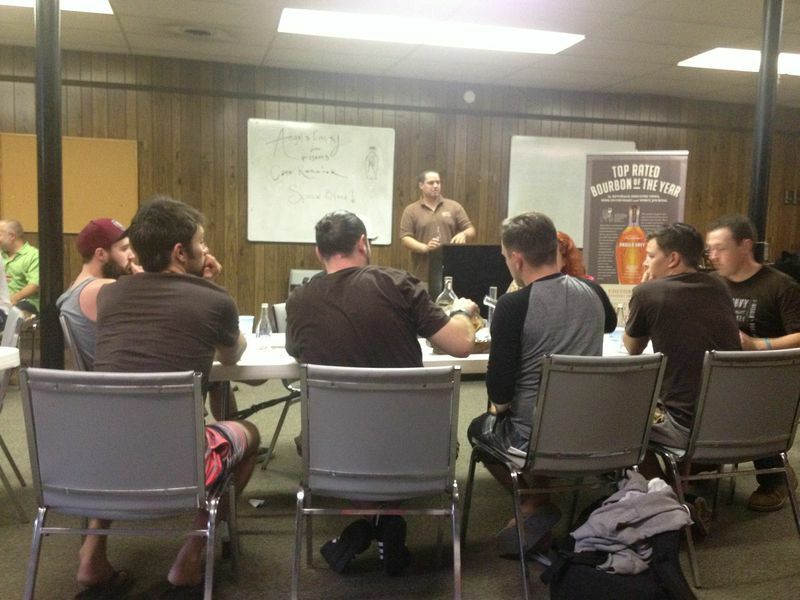 Kyle conducting a Special Blend lecture. We work with a lot of amazing bartenders. It’s largely because of the recommendations and advocacy of so many of these professionals that we’re as popular as we are today. As a small, independent company, we love the word of mouth we get from bartenders across the country, so it’s important for us to take the time to connect with them personally. We genuinely care about our bartender advocates, and it’s important for us to know what’s going on in their world. 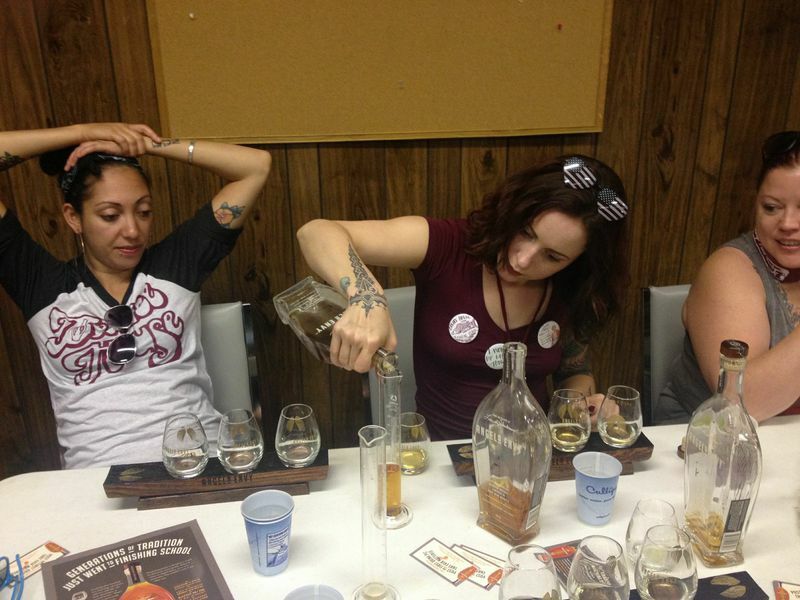 Campers participating in a blending session. 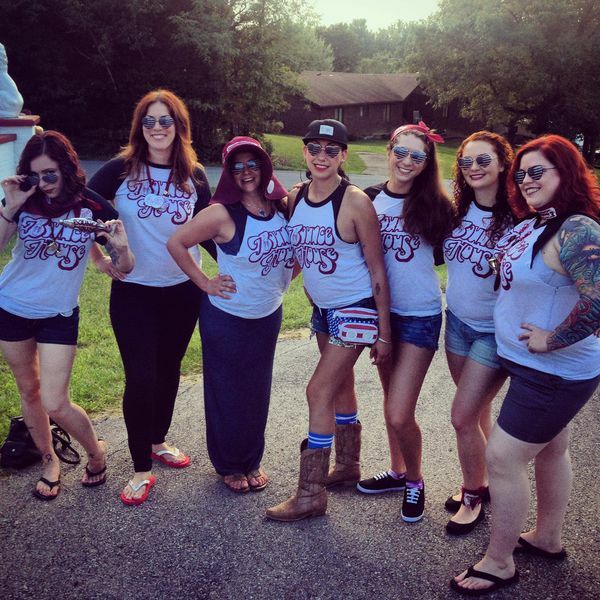 If you’re not in the bar industry, you’ve probably never heard of Camp Runamok, a summer camp-themed week in Kentucky devoted exclusively to intensive seminars, spirit education and distillery tours. The nation’s top bartenders are chosen from a massive pool of applicants, and they gather together to get back to the basics of the craft, far from civilization in the wilds of Kentucky. Sure, it’s a chance to learn, but it’s also a time to share ideas and build connections that can last a lifetime. It’s just like summer camp—if you actually kept in touch with the friends you made, and everyone loved whiskey. And the view is pretty nice too. There’s also a focus on philanthropy. 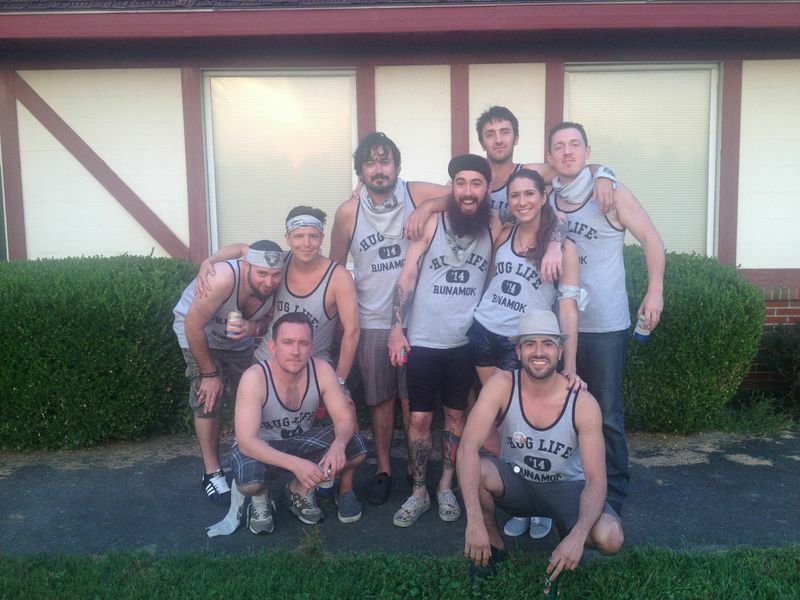 Not only do the bartenders spend the last day of camp building furniture, painting buildings and giving back to Runamok, they also work individually to raise money for charitable causes. 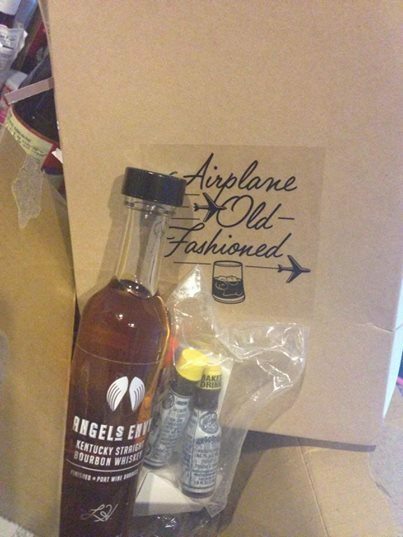 During the second week, the Angel’s Envy cabin, along with Hollis Bulleit, raised over $2,000 with an auction. We honestly can’t think of a better place for Angel’s Envy to be tasted. That’s why we’re sharing the experiences of our two Whiskey Guardians, Angel Teta and Erik Trickett. Both served as “camp counselors” throughout the two-weeks of camp. Angel Teta and the campers of Angel’s Envy’s Bounce House cabin during the first week. What was it like being the Angel’s Envy Counselor at Runamok? To be honest, I feel like this is the most effective way to be a presence at Camp Runamok. You get direct contact on a constant basis with the campers. They’re often the ones that will be making the decisions at their bars when they get home. As a sponsor, you have some presence, but essentially the face time and opportunity to actually be around at all times with the brand is most important. I feel like more brands are being represented on menus and back bars because of the relationships bartenders and managers develop with whomever they perceive is “the face” of the brand—especially when the product is already good. For the second year I have had the pleasure of being the counselor in our sponsored cabin, I can say that this is without a doubt one of my favorite events that I participate in all year. The educational components, distillery tours, blending seminars, and opportunities to speak and taste with masters of the craft are unprecedented and truly exciting. But all of that pales when compared with the comradery and friendships forged through the time spent and drinks shared. This is an event that really shows what the service industry is all about. 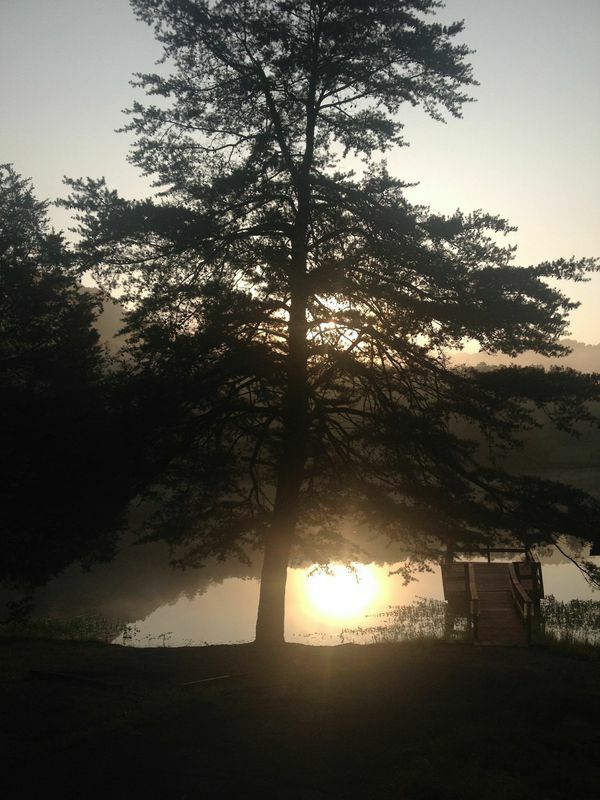 I know that I learned as much, if not more, from the people in our cabin and at camp as they learned from me. Erik Trickett and the campers of Angel’s Envy’s Huglife cabin during the second week. What are your feelings about sending a handful of highly trained bartenders out into the wilderness to bond (and possibly start fires)? I hand my doubts, but it’s a really great bonding experience. Getting bartenders out of their element and bringing everyone to the same level really works in everyone’s favor. It wasn’t a crazy scene, and participants were really respectful of the educational opportunities. All around, it’s a fantastic, out-of-the box idea that’s just crazy enough to work. Again, this event is really without precedent, but Lindsey Johnson and Jared Schubert really do an amazing job of creating an environment that is both safe, and encouraging. The community that Runamok builds is damn near familial and I am truly proud to be apart of it. We had a flask, shaped like a fish, always toted by my girls and full of AE. It was hand-painted with Bounce House (cabin name) on the back. That became the “Offishial” mascot of Bounce House. There were also constant pictures of the Airplane Old Fashioned kits on Facebook. Dave Pickerall became an unofficial Bounce House baby, educating my girls so well whenever he was around. He also put on a temporary Angel’s Envy wings tattoo. He loves Angel’s Envy, which is an amazing endorsement in my opinion. I was on the airport welcome committee, charged with collecting and putting the bartenders on shuttles from the airport. It was pretty amazing, especially for the people who were new. To see old friends and know that this was the moment where we start making new ones—that was great. I enjoyed our blending seminar. It is a really challenging activity and that makes it very fun to execute. I think that it was really special for everyone to get to walk through it with Kyle Henderson and get to see what he does for a living. I also really liked that when we did it as cabins, it was an opportunity for the cabins to continue to work together and that plays right into how camp facilitates these bonds. My favorite moments of all though had to be the time spent bonding with my cabin, whether that was conversations on the bus, in the cabin, or late night around the campfire. Those guys are terrific and if I could have any seven people at my bar top, it would be them. Huglife!